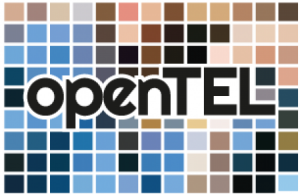 The Open Technology Enhanced Learning (openTEL) is a priority research area, bringing together researchers from across the Open University. The group runs regular Show and TEL events to share expertise among its members. The latest such event took place on February 9th. Alexander Mikroyannidis from the Knowledge Media Institute (KMi) joined the event and presented some of the latest KMi TEL projects focusing on rich interactive learning resources. In particular, he presented the FORGE project on remote labs and online experimentation, the EDSA project that bridges the data science skills gap across Europe, and the SlideWiki project that offers solutions for collaborative open courseware authoring. The event was broadcasted live and the recording is available here.